Home » Garlic and Vinegar Cure Rabies? Home » Lifestyle » Garlic and Vinegar Cure Rabies? Garlic and Vinegar Cure Rabies? Can Garlic and Vinegar Cure Rabies? Rabies is a deadly virus spread to people from the saliva of infected animals. The rabies virus is usually transmitted through a bite. The Philippines is one of the countries most affected by Rabies. Rabies kills 200 to 250 Filipinos yearly. Though Rabies can be infected by a number of animals, In the Philippines, Dog is the number one cause of death by Rabies. 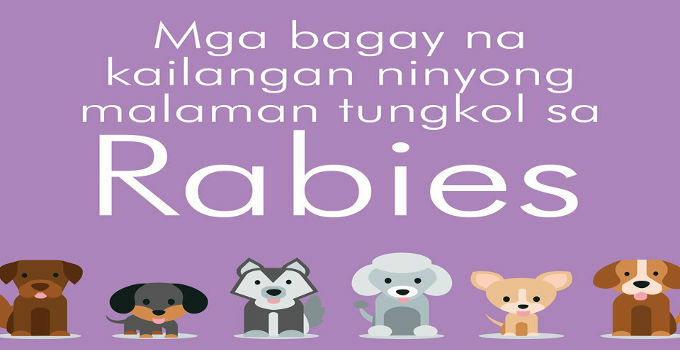 March is the Philippines Rabies awareness month but Rabies prevention is a whole year activity. Remember this: Once a rabies infection is established, there’s no effective treatment. For that reason, if you think you’ve been exposed to rabies, you must get a series of shots to prevent the infection from taking hold. Going back to the question, Can Garlic and Vinegar Cure Rabies? The answer is no. What will you do when bitten by a dog or other animal? For the meantime, Wash your wound gently and thoroughly with soap and generous amounts of water. This may help wash away the virus. Then go to a medical doctor asap for a check up.